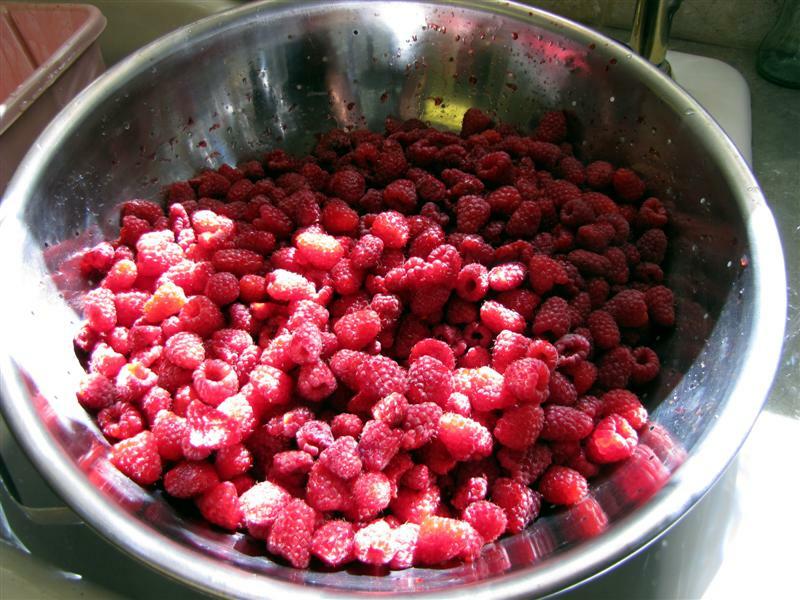 I picked about nine pounds of raspberries yesterday at Dillard Farm Market for $1.25/pound. This was enough to make three batches of Raspberry Freezer Jam with enough berries leftover to get some raspberry vinegar started. 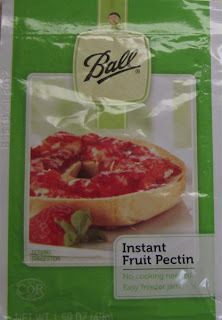 I posted two years ago about the Ball freezer jam pectin that uses much less sugar than the older kind. They changed the packaging this year. This is what it looks like now. The ingredients and directions are the same. It's as easy as ever. Sherm's and Bi-Mart both carry it. Look for the set of five plastic 8-ounce containers (purple lids) nearby. They're perfect for one batch of freezer jam. They also work really well if you like to make individual containers of homemade yogurt.